Why do I need health insurance, because I have IHS? You will always be a beneficiary of IHS. TPSP is an added benefit that can help make more services available for you. Health insurance can also help you get medical care when you are travelling or away from IHS. Will Tribal Premium Sponsorship cost me anything? No. TPSP pays your monthly insurance premium. 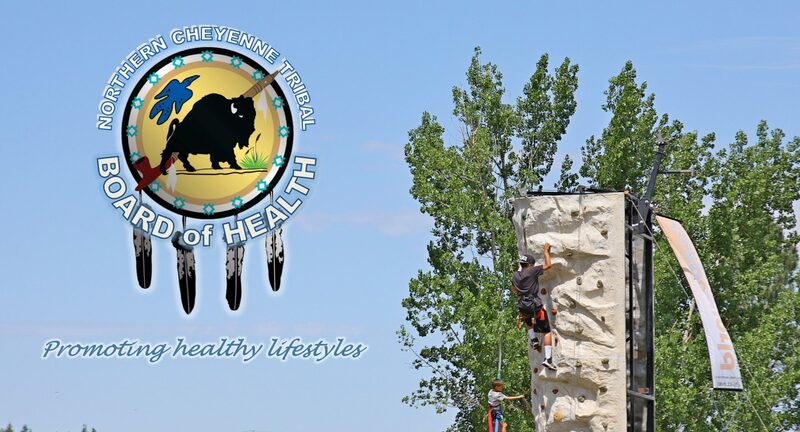 Northern Cheyenne enrollees do not have to pay any co-payments or deductibles when seen or referred by IHS. If I enroll into Tribal Premium Sponsorship Program, will it affect my current IHS benefits? No. You will always be a beneficiary of Indian Health Service throughout Montana and the United States. Tribal Premium Sponsorship is an added health care benefit. Do I still need to get referrals for care from Lame Deer IHS? Yes. You will still need to get a referral when seeking care outside of Indian Health Service. Without the referral you may be billed for part of the service you get. Does this affect my current Indian Health Service benefits? No. You will always first and foremost be a beneficiary of Indian Health Service, Tribal hospitals and health clinics throughout Montana and the United States. Tribal Premium Sponsorship is an added health care benefit. You should always use your Tribal health clinics and hospitals to ensure that your health care needs are being met and that you are as healthy as possible. Do I still need to get referrals for care from my Tribal health organization? Yes. You will still need to get a referral for care outside of the Indian Health Service system. Without the referral you may be billed for part of the service you get. Will Tribal Premium Sponsorship cover my family members? Yes, your family members are eligible for Tribal Premium Sponsorship if they are eligible for Indian Health Service services; meet the income guidelines; and are not covered by or eligible for Medicaid, Medicare, TRICARE, CHAMPVA, or affordable health insurance through an employer or spouse employer. Will Tribal Premium Sponsorship cover my non-Native family members? Tribal Premium Sponsorship does not have funds to pay for non-Native family members. Your non-Native family members may find out they are eligible for affordable insurance as you go through the Tribal Premium Sponsorship Program application process. Do I have to be a Northern Cheyenne enrolled member or an enrolled member in my tribe to be eligible? Yes. You must be an enrolled member of a federally-recognized tribe, or have a major life change to enroll before the next Open Enrollment period (starting November 1, 2017). Major life changes include getting married, losing health coverage, moving to Montana, having a baby, or adopting a child. How long will the program pay for my insurance? Tribal Premium Sponsorship is being offered through 2017. TPSP plans to continue the program after 2017 as long as it is successful. Will I get help signing up for insurance? Yes. If you are eligible for Tribal Premium Sponsorship, you will get help from enrollment specialists to apply online at HealthCare.gov and enroll. What do I have to agree to as part of the program? You will need to fill out forms and applications with your personal information. You need to tell TPSP about any changes in your income, household, marital status, employment, address, or insurance enrollment or ability to get other coverage. If you are required to, you must file tax returns on time and, if married, file jointly. You must agree to utilize the Tribal Health System to ensure your health needs are being met; help TPSP evaluate the program; allow TPSP to withdraw as sponsor, if necessary; and allow TPSP to change the program if it is needed. Will Tribal Premium Sponsorship cost me anything? No. TPSP pays your monthly insurance premium. American Indian people also do not have to pay any co-payments or deductibles when seen or referred by Tribal health facilities. Is this part of the Affordable Care Act? Yes, Congress authorized tribally-sponsored health insurance under the Affordable Care Act (ACA). The law gives American Indian people an opportunity to get the full range of benefits offered by health insurance coverage, including medical care outside of Montana. When will my insurance start? Your insurance will start 2 to 6 weeks after you finish the HealthCare.gov enrollment application. How do I sign up? Contact the Family Health Resources offices at participating Tribal health clinics to see if you are eligible and get help with enrollment. Regional contacts are listed at www.nctribalhealth.org.